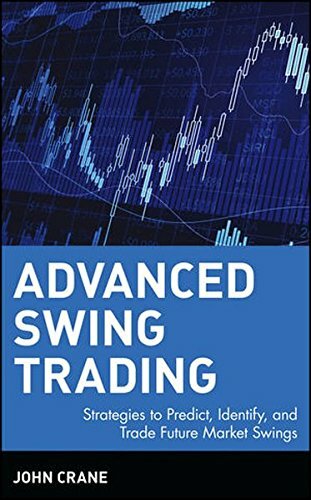 Advanced Swing Trading reveals the strategies used by George Soros, Warren Buffett and other high-profile traders to reap whirlwind profits in today's volatile markets. With the demise of day trading, traders are searching for new methods of exploiting the unprecedented volatility of post-9/11 securities markets. The most successful of these methods so far has been swing trading, a powerful technical approach that allows traders to profit from shorter-term price moves, ranging from several days to a couple of months. In Advanced Swing Trading, veteran trader and leading trading coach, John Crane clearly describes his original Action/Reaction swing trading system. With the help of numerous real-world examples, Crane clearly delineates his system and shows readers how to use it to consistently to gain big returns in even the shakiest of markets. John Crane (Loveland, CO) is the founder of Traders Network, a firm providing brokerage service and educational training products for smart investors. His monthly columns have appeared in Futures Options magazine, and articles about his trading strategies have appeared in Barron's, Consensus, and The Wall Street Journal. If you have any questions about this product by Crane, contact us by completing and submitting the form below. If you are looking for a specif part number, please include it with your message. The Futures Game: Who Wins? Who Loses? Why?